Two of the three sculptures entered at the Louisville Art Association annual Tactile Challenge Show received awards this weekend. 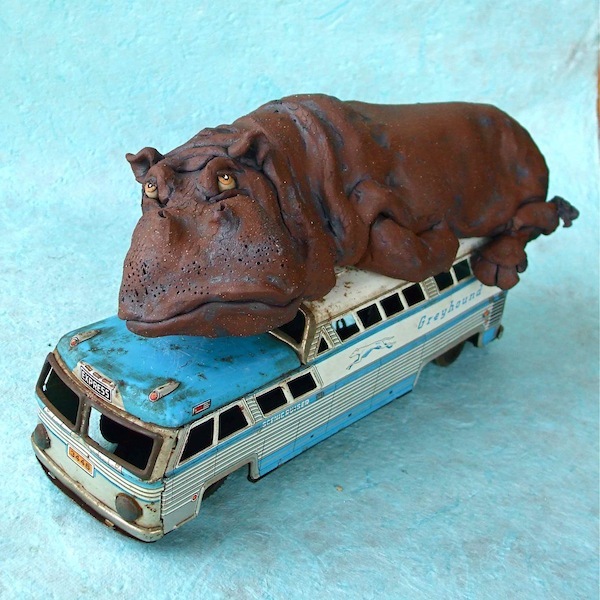 The prestigious Judges Award went to Hippopotamus on a Greyhound Bus, my favorite piece of the Seussian series (see previous post). And Digger received an Honorable Mention. What a wonderful surprise!